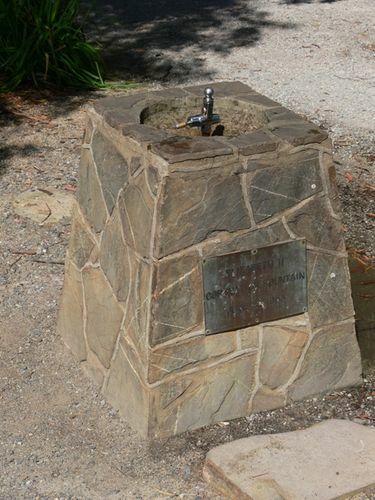 The drinking fountain commemorates the coronation of Queen Elizabeth II in June 1953. The Coronation of Queen Elizabeth II was the ceremony in which the newly ascended monarch, Elizabeth II, was crowned Queen of the United Kingdom, Canada, Australia, New Zealand, South Africa, Ceylon, and Pakistan, as well as taking on the role of Head of the Commonwealth. Elizabeth, then aged 26, ascended the thrones of these countries upon the death of her father, King George VI, on 6 February 1952, and was proclaimed queen by her various privy and executive councils shortly afterwards. The coronation was held more than a year after the accession, on 2 June 1953.